It is almost a year since RBI referred 12 top borrowers to the NCLT under the new bankruptcy code. Following is a status update on eight of those borrowers, which are inching towards a resolution. Where it stands now: NCLT ordered committee of creditors (CoC) to consider bids by Numetal and Mittal before allowing others to bid. What is the issue: If creditors decline bids by Numetal and Mittal, mining giant VedantaNSE -2.42 % could be in the fray. Where it stands now: UK-based Liberty House had declared itself the winner, but there are doubts on its eligibility after it came to light that one of its subsidiaries had dues pending before Exim Bank. What is the issue: Liberty House has now paid the dues. So it remains to be seen whether NCLT allows its bid to go through. Where it stands now: Tata Steel emerges as top bidder after a fierce bidding war, outsmarting JSW Steel. However, the deal not sealed yet. What is the issue: Larsen & Toubro (L&T) has moved NCLT seeking ‘higher priority’ in repayment of dues owed by Bhushan Steel. Bhushan Steel owes Rs 900 crore to L&T for supplies of certain capital goods. Where it stands now: Employees have moved NCLT to prevent the company from liquidation as 12,000 employees will lose their jobs. What is the issue: Lenders did not find the sole joint bid of Reliance Industries Ltd (RIL) with JM Financial Asset Reconstruction Company attractive enough. Where it stands now: Vedanta declared winner by NCLT earlier this week, but failed bidder Renaissance Steel has challenged it. What is the issue: Renaissance is challenging Vedanta’s win under Section 29A (d) of the IBC, a clause that prohibits bidding by entities or their subsidiaries that have been convicted for an offence punishable for more than two years. Where it stands now: NCLT has directed banks to consider Liberty House’s bid that was initially disallowed because it came in after the deadline. What is the issue: Liberty House bid will now be considered which it claims is higher than that offered by Tata Steel, the current highest bidder shortlisted by lenders. Where it stands now: The Aion-JSW Steel consortium’s bid has been approved by CoC, and awaits NCLT approval. What is the issue: ArcelorMittal has alleged that the company is not eligible to bid under section 29(A) as promoter Sandeep Jajodia’s wife Seema Jajodia is JSW Group chairman Sajjan Jindal’s sister. She has, however, transferred her shareholding in the company before bidding again. Where it stands now: Liberty House has emerged as sole bidder in the fourth consecutive round of bidding called by lenders to the ship-builder, the promoters of which face a willful defaulter tag. What is the issue: Liberty has paid off its dues to Exim Bank to be eligible for bidding. But lenders are not too happy with offer. 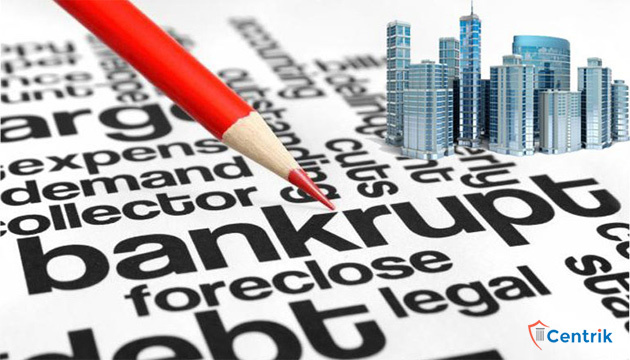 NCLT is trying its best to settle with the terms of new Insolvency Code and accordingly dispose off the high profile cases in a speedy manner but also being vigilant of every step and tallying it with the Code to justify the very importance of IBC in the business sector. Cheers to NCLT’s efforts.